In today’s competitive spas and salons markets, customers demand the best treatments at an affordable price. Long Range Systems offers three solutions to help these industries become more efficient in their daily operations. The goal of all XYZs’ spa products has been to increase your revenue while decreasing your overhead and expenses. With XYZ UK products, you spend less time running around and more time in front of customers where service is king. 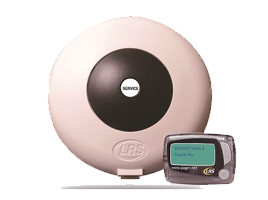 Improve your Guests experience and enhance your staffs performance with our paging systems. Retain more walk-in customers by allowing them to be notified by pager. Give them freedom while they wait. Customers are no longer confined to the lobby waiting area. They can easily be reached and recalled with our Coaster Call system. Customers should feel relaxed and at ease while at the spa which is why these coasters are the perfect solution instead of being in a waiting room or in the reception customers can browse the building without staff shouting there names or tracking them down, The coaster will immediately vibe and flash discreetly as soon as a member of staff has paged it, then guests know to head back to where they were given the coaster. The Pronto allows you to notify staff from each treatment room. Each room can send five different messages to 5 different staff members. Whether it’s notifying another staff member you need assistance or just notifying the front desk that you are free to take walk-ins, Pronto can make communications simple. Discreetly recall staff members without disturbing your guests peaceful experience, staff are able to communicate with each other easily and professionally. Its the perfect call button for staff to staff paging and is the best discreet solution for spars and salons. 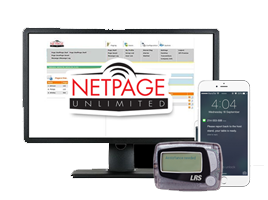 Net Page is a PC staff paging solution allowing you to page staff directly from any PC on your network. It even allows you to page employees directly from any phone in your facility. 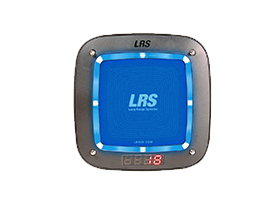 Detailed text messages are sent directly to staff wearing the LRS alphanumeric pagers. PC paging is a very discreet solution allowing you to communicate with staff even when they are treating clients without interruption. Please contact us today via our online contact form or call us directly on 01782 537000 so a member of staff can speak to you today and discuss the perfect solutions for your business.